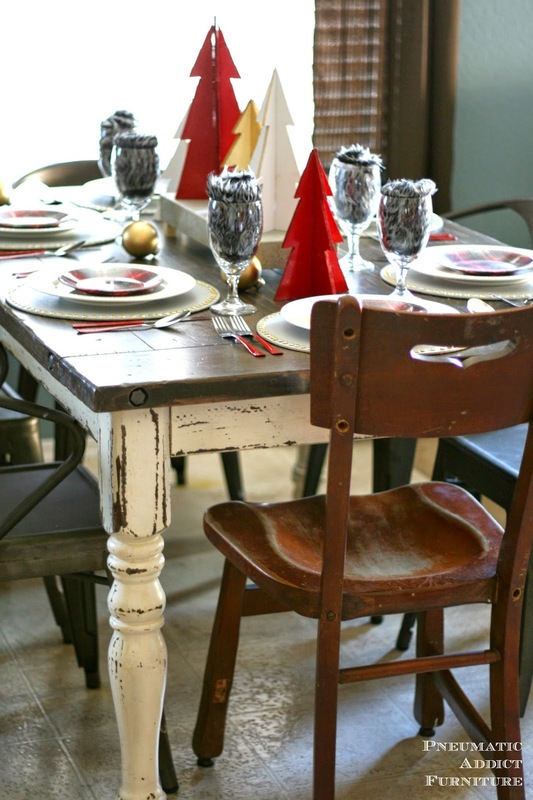 A little while back I shared with you my leg of the 12 Days of Christmas Tablescapes Tour, put together by my friend Jen from House of Wood. Today happens to be the last day of the tour and the fabulous Ana White is sharing her table setting. 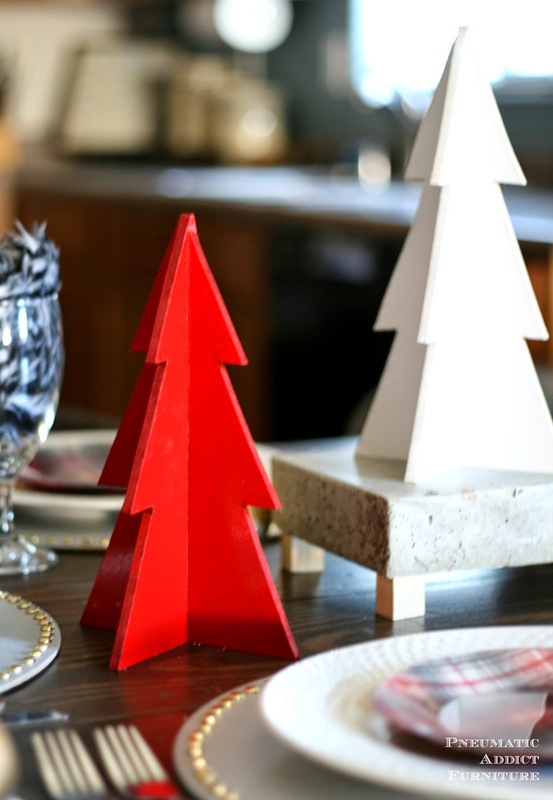 Click here to see my spin on a modern Christmas tablescape and to get a full list of all 12 bloggers. Pretty much every single thing on the table was DIY. 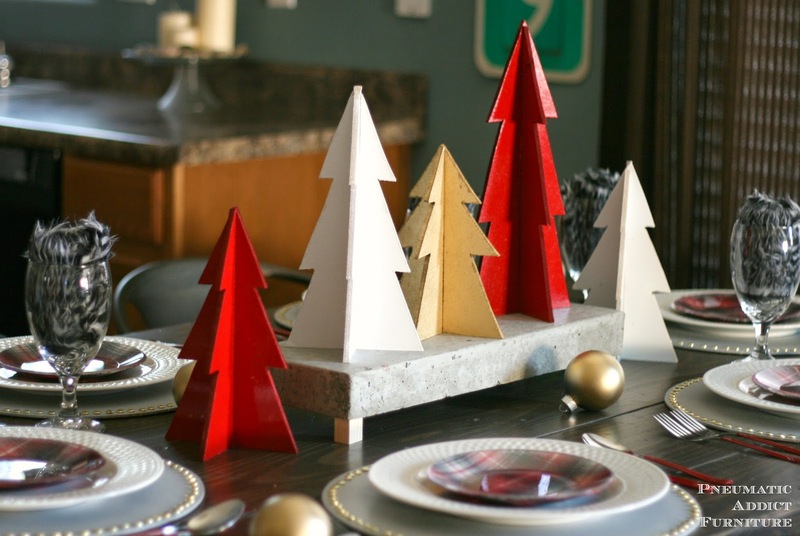 The star of the centerpiece was a cluster of these little 3D plywood trees. I know its only 2 days before Christmas but I promise, you could have a set whipped up by tonight. Confession time: the trees aren't actually plywood. They're made from 1/4 inch MDF, leftover from making my sons' Geometric Banks. They would be beautiful made from plywood and stained, or if you are planning on painting them, you can save some money and use MDF. 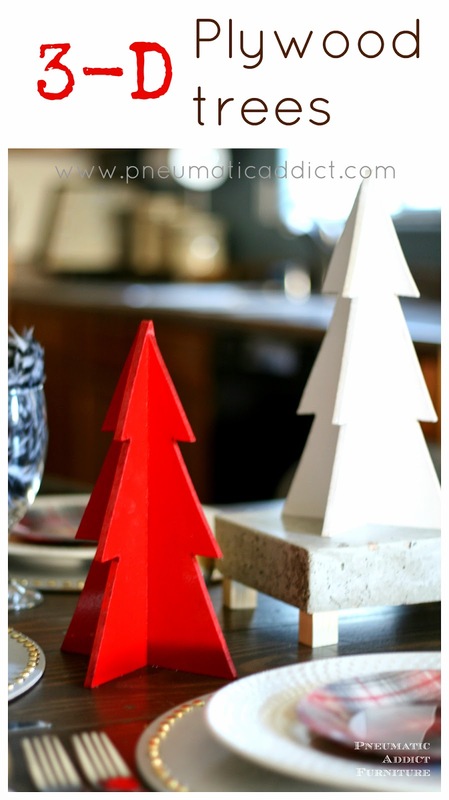 A quarter-sheet of 1/4" MDF is around $6 at Home Depot and would make dozens of these little trees. Making a 3D object this way is an old technique. The cool thing is, you can make any shape you want. I went with Christmas trees, but you could do almost any design. I'll break down the details for making one tree. 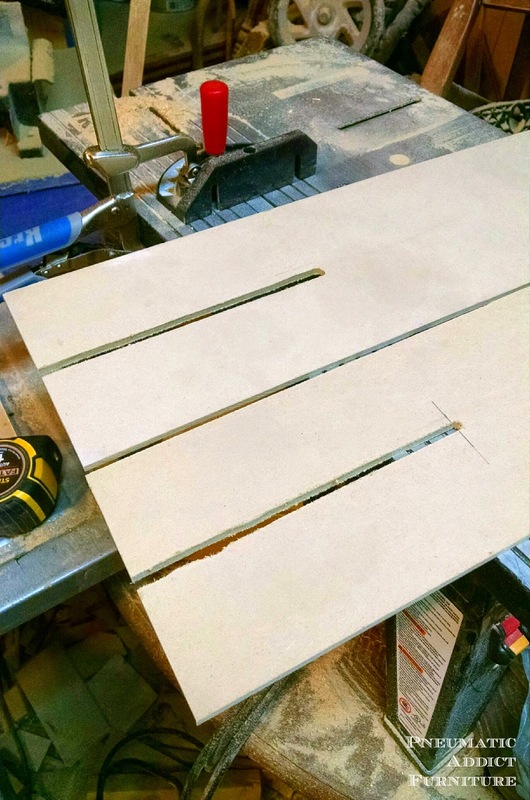 Cut two equal sized pieces of MDF. Find the center of one end and use a pencil to draw a vertical line, extending slightly past the center of your shape. 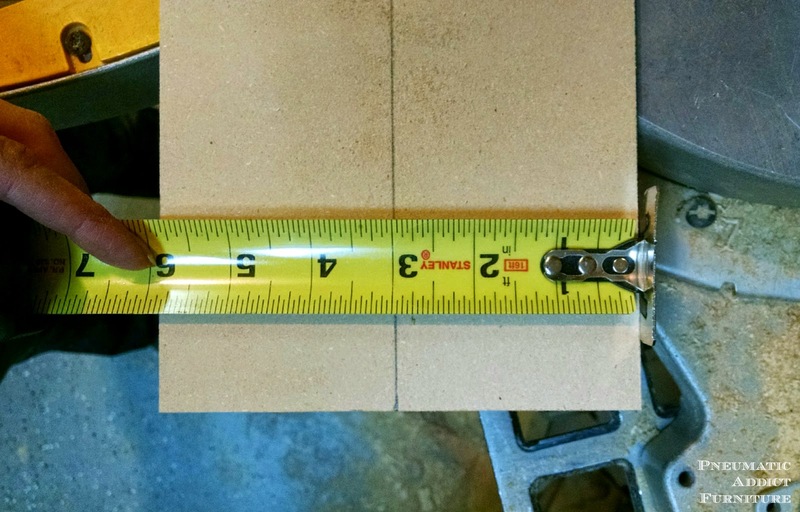 Now, you need to cut a 1/4" wide slit along your pencil line. I used my router table, but if you don't have one, drill a hole at the top of your pencil line, using a 1/4" drill bit, then use a jigsaw to cut two straight lines down. It should look something like this. Next, find a scrap piece of paper and draw your template. 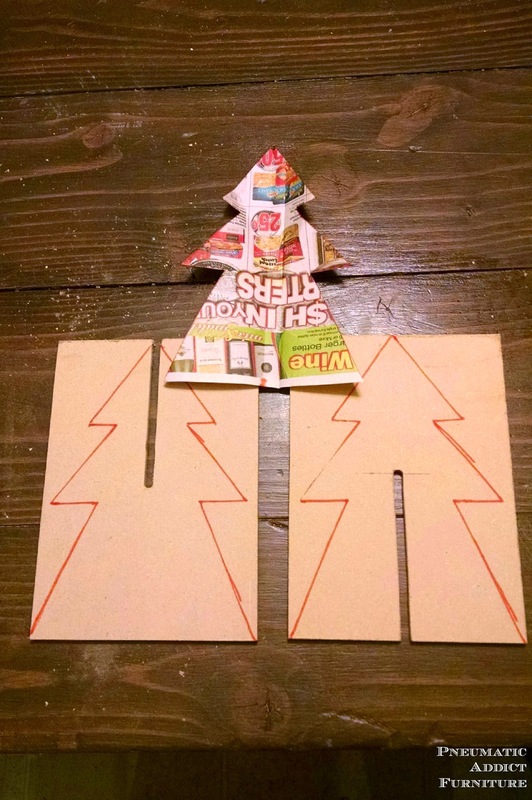 For a symmetrical shape, you probably will want to fold the paper in half. Then, take your pieces of MDF and lay them on your work surface so the cut end is towards you on one piece, and away from you on the other. Center your template on the cut line, and trace your desired shape. You will have two designs, one with a cut line running up through the bottom, and one running down from the top. Time to cut. Flip your pieces and stack them with the cut lines lining up on the same end. 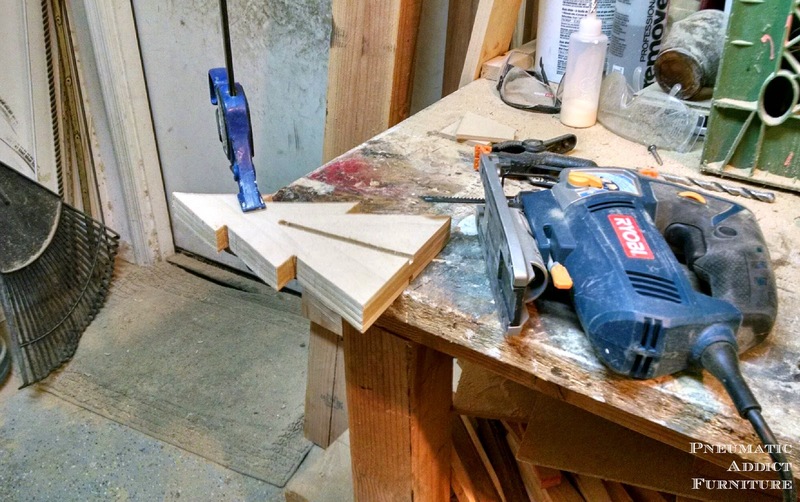 Clamp them together on a workbench, and use a jigsaw to cut out the traced design. Sand any rough edges and finish however you'll like. I kinda want to make a new set from plywood and stain them. If I was cute and girly, I might cover these bad boys in glitter. To assemble, just line up the cut lines and slide them together. The best part: You can take them apart and store them flat! 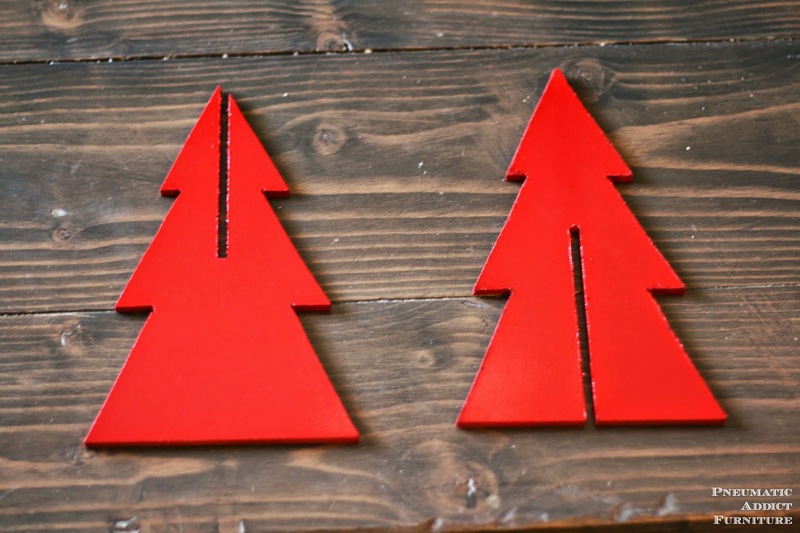 I cut out 5 sets of these DIY christmas trees and made my own little forest. 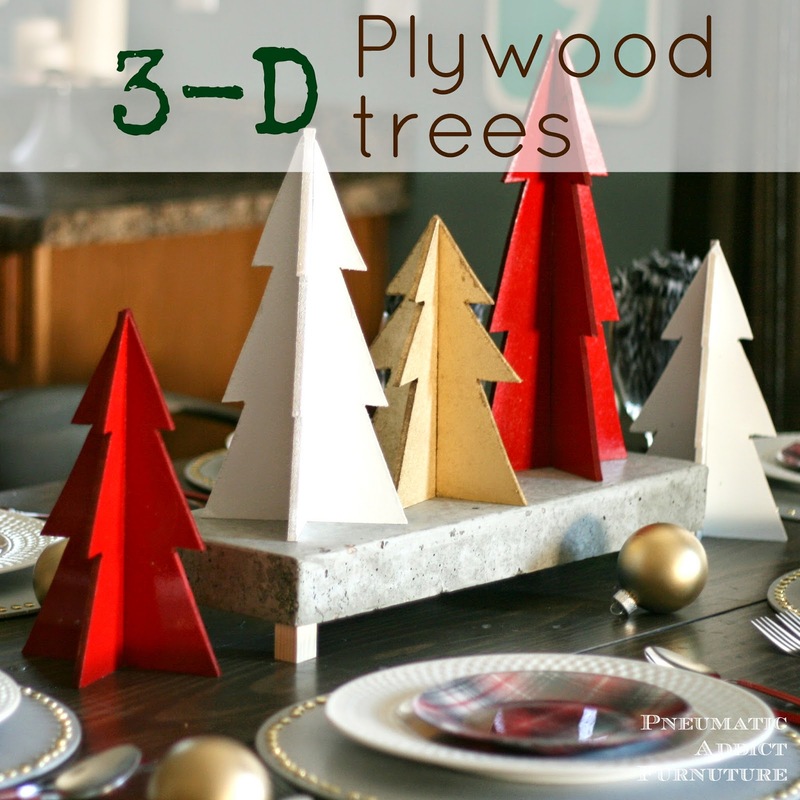 So, drop everything you're doing right now (wrapping gifts is overrated), run over to Home Depot, and make yourself some 3D Plywood trees tonight for your Christmas table (or buffet, mantle, etc.). Merry Christmas everyone! These are so cute!!! I seriously can't wait to get home and make some!